Robert (‘Bob’) Henderson was a Scot, born in Ayr. 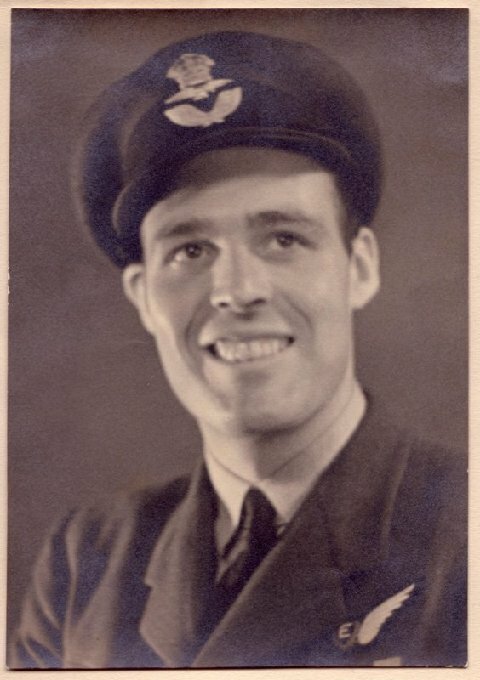 He joined the RAFVR in 1937, and served in ground crew when the war started. Like many another flight engineer, he was quick to take the opportunity to fly when the new trade was introduced in 1941-2. He joined 207 Squadron in April 1942, and flew on 16 operations. He moved on to 57 Squadron at Scampton in October. Hearing about the new squadron, and anxious to get involved Henderson and bomb aimer Len Sumpter approached David Shannon when they found that the pilot they had been crewed up with had been grounded for medical reasons. Shannon and navigator Danny Walker had transferred into 617 Squadron from Pathfinder training, and needed people to fill all the other crew places. It may have been a scratch crew, but it quickly jelled, under its charismatic young captain. After the raid, Shannon’s crew carried on flying together for the best part of a year. Henderson notched up a further 19 operations with Shannon and, when Shannon was taken off active flying, a further six with Flt Lt Kearns. He finished his tour in mid 1944, was commissioned and awarded the DFM. He was transferred to a training unit for the remainder of the war. Henderson stayed on in the RAF after the war, serving at stations all over the UK and in Rhodesia, Malta and Cyprus. He died in Cyprus in 1961.